What Are Some Good Reading Games for Middle School Students? 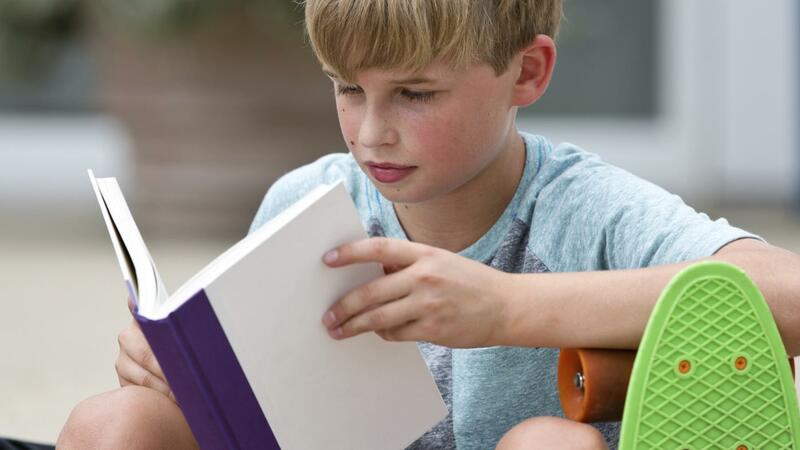 Some good reading games for middle school students include the "Compare and Contrast" and the "Poetry in Music" downloadable activities found on Education.com, which are designed for the classroom. Some good online reading games include "Context Clues" and "Figurative Language Jeopardy" on Quia.com, as of 2015. The "Compare and Contrast" activity on Education.com helps students to practice working with and understanding narrative texts. Students identify how aspects of a story, including plot, story elements and characters are both alike and different. This encourages students to build connections and draw conclusions about what they are reading. For this activity, the students draw two overlapping circles on a piece of paper. Choose an aspect of the story to work with, and have them list the differences in the outer circles and the similarities in the middle intersection, and discuss the results. The "Poetry in Music" game from Education.com encourages students to learn about rhyming and poetry through the music they love. Students pick their favorite song and write the lyrics on a piece of paper. Have the students notate the rhyme scheme using letters, and use it to illustrate the different kinds of poetry. Online games such as "Context Clues" and "Figurative Language Jeopardy," on Quia.com, are easy to play and require no setup. These games allow students to identify context clues, word meanings and figurative language, such as metaphors, similes and personification. What Are Some Good Online Games to Use for First Grade Reading? What Are Some Free Reading Resources for Second Graders? What Are Some Reading Games for Fourth Graders? What Are Reading Counts Tests for Kids? What Is the Istation Reading Program?